and is an urban oasis full of greenery. 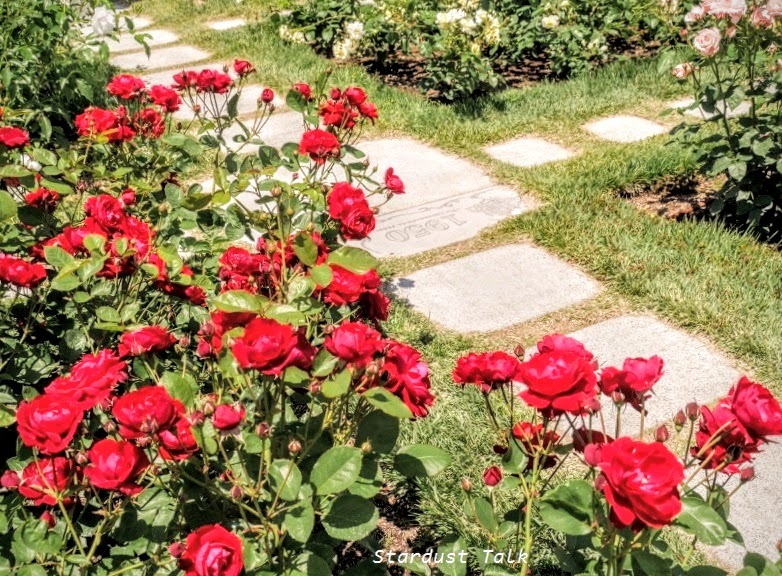 It features the Rose Garden which is located at the eastern tip of the park. built in 1918 and restored in 2002. It is a neo-Rennaisance architecture with red brick walls and dome-shaped bronze roofs. 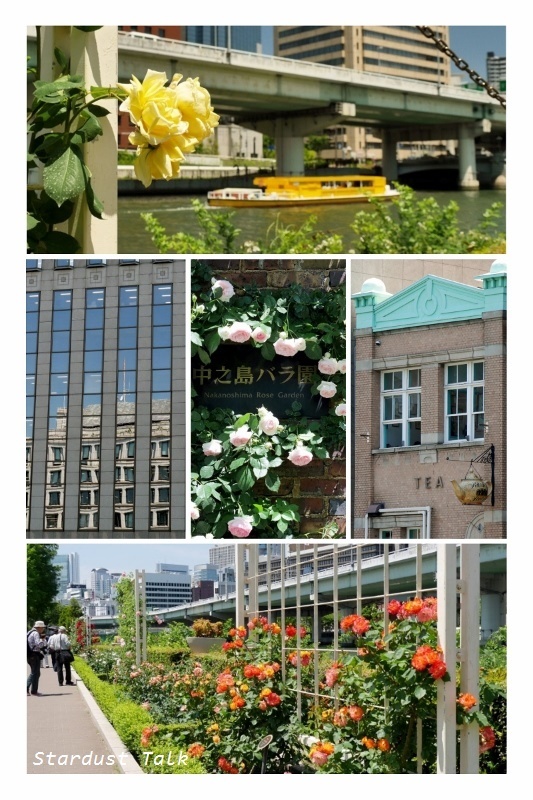 between the Dojima and the Tosabori rivers in the middle of the city of Osaka. 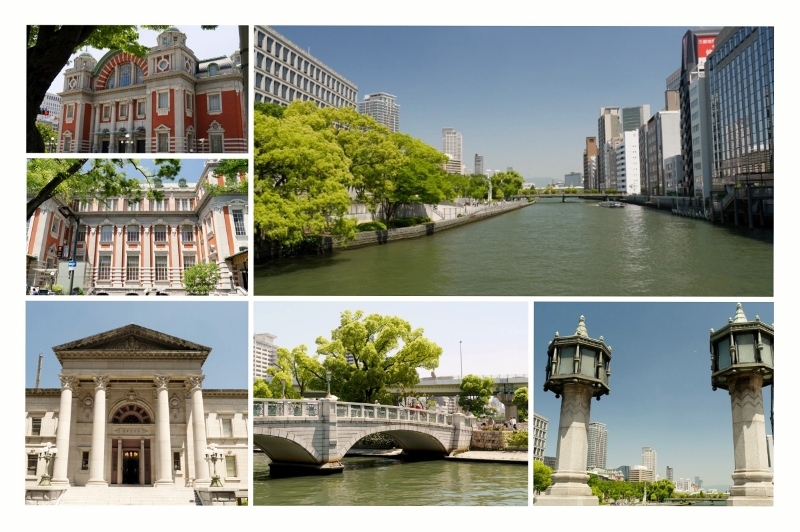 Nakanoshima was the center of commerce. 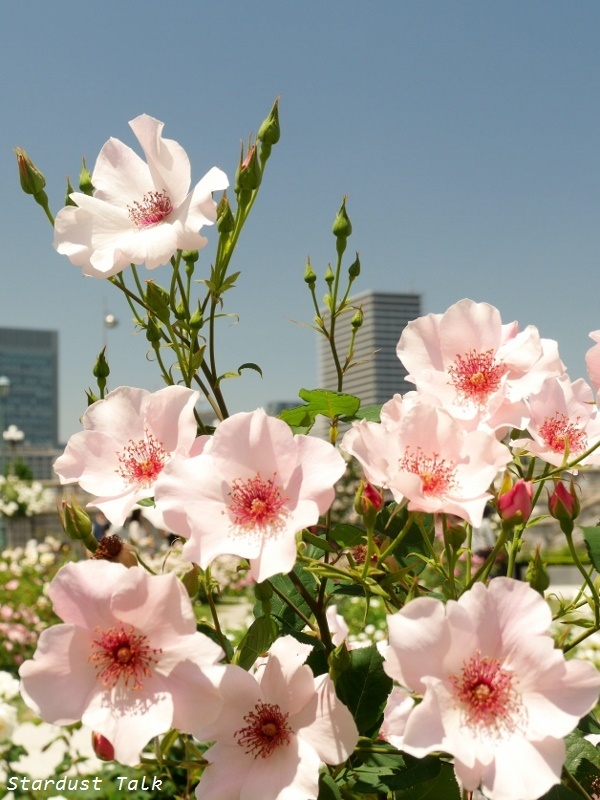 When roses are not in season, how about viewing buildings? as well as modern skyscrapers. Beautiful flowers. Botanical gardens and parks are my favorite places in the cities. Such a gorgeous and beautiful open space. The gardens are so inviting. This is most beautiful, the roses, the buildings and the bridges. Thank you for a lovely post. A much-needed oasis in amongst all that concrete and steel; the only surprise is that there are not more people enjoy the tranquility. Dear Yoko - I think that we must both be on the very same telepathic wave lines, as I too have posted about the first public park in England today - they say great minds think alike don't they♡? 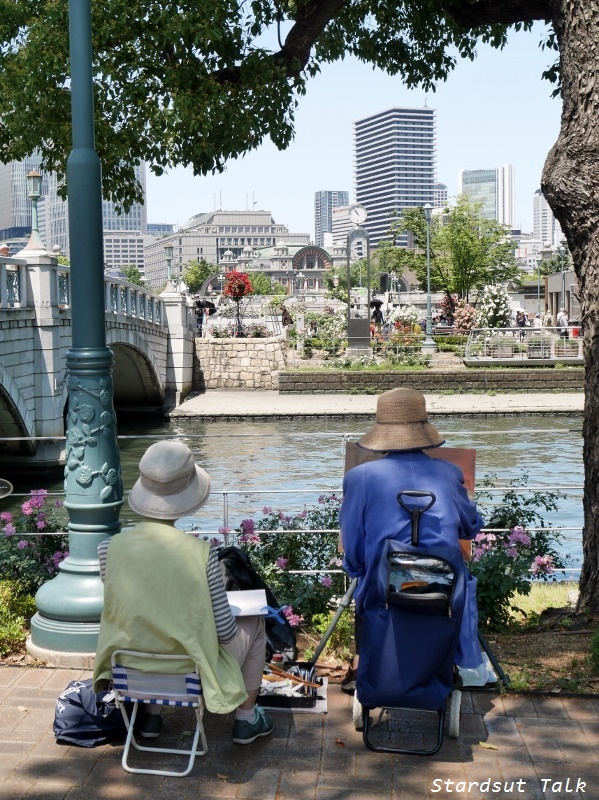 Nakanoshima Park is glorious and I can imagine the heavenly scent from the roses on a warm balmy day, and the inspiration that it must give the artists you have shown. That's very interesting. 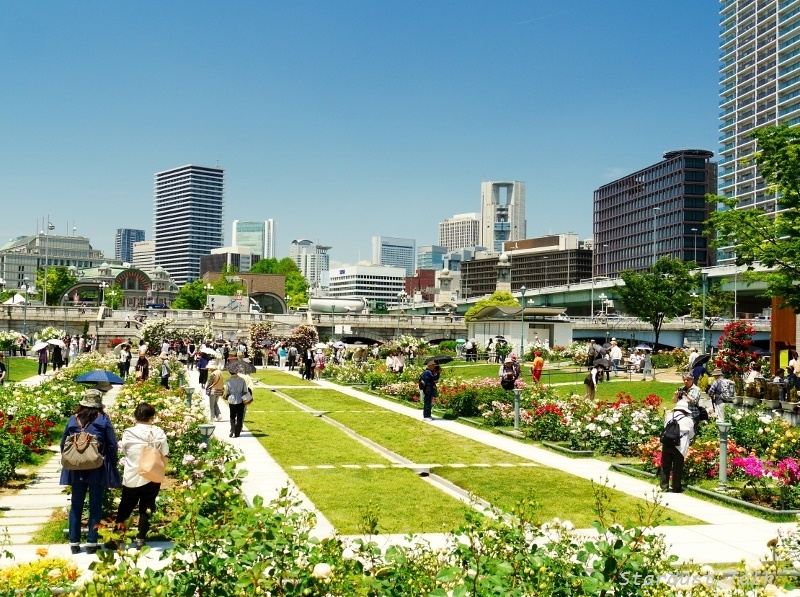 When I come to Japan again I want to go to Osaka, and so I will certainly look at this park and at the other things you mentioned. 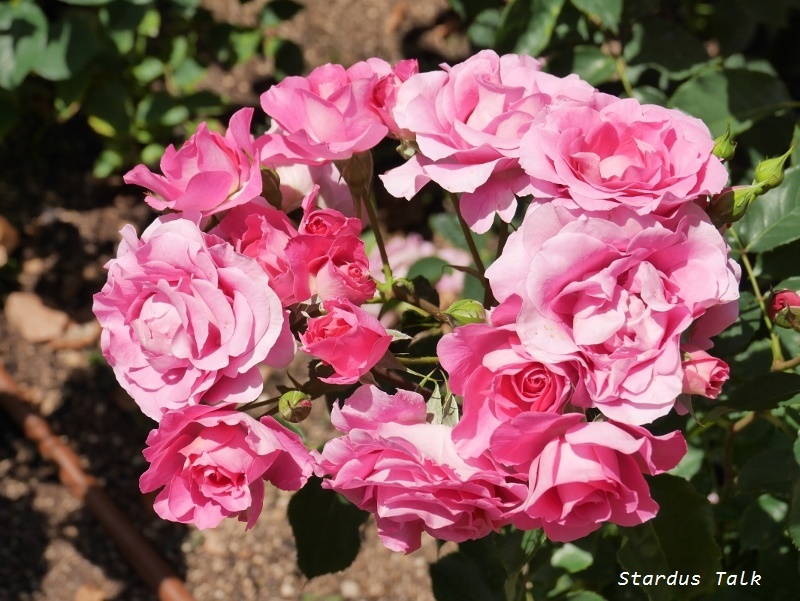 I do love to see roses, and a rose garden is one of my favourite kinds. I was delighted to read this post. So much information and history. Osaka has got to be one of the most beautiful cities in the world. Love all the different architecture, especially the old Central City Hall. 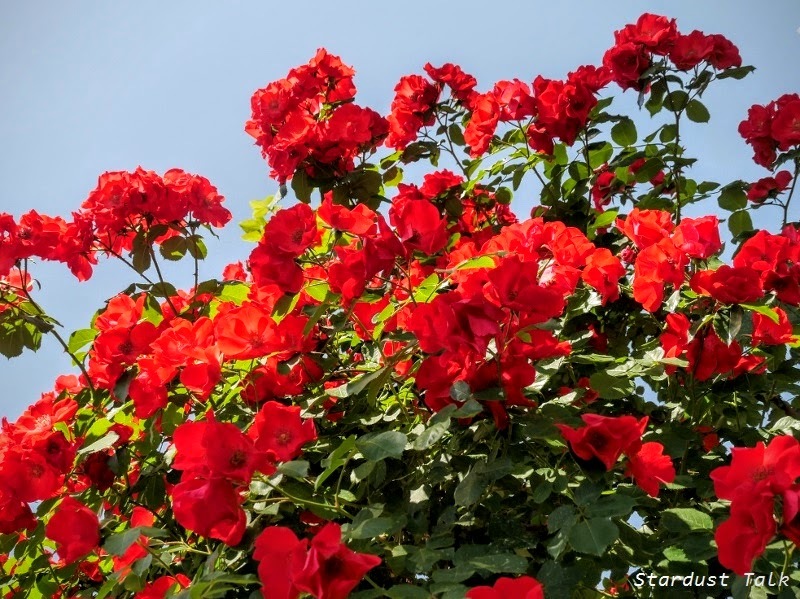 But your floral photos give new meaning to the word, beautiful! As usual, you have captured well the elegance and fragility of these many different blossoms. Thanks so much for sharing all of these pictures with us! 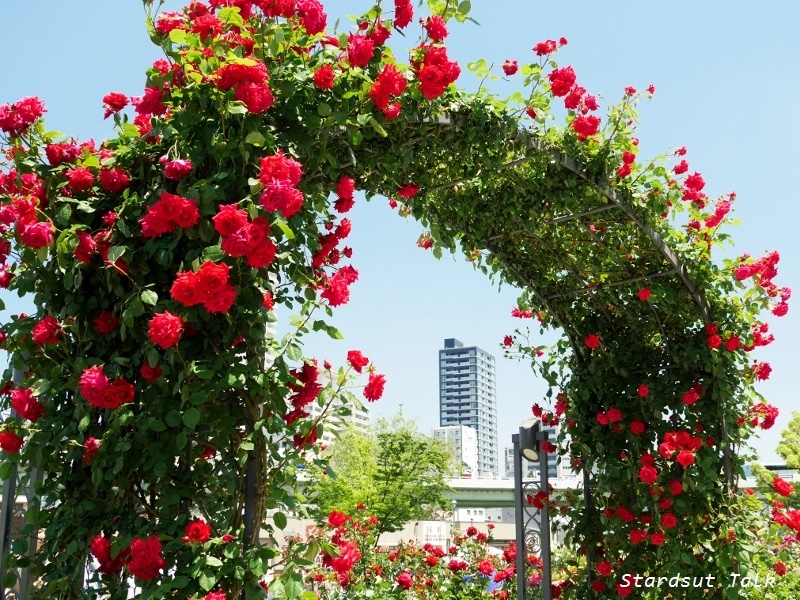 What a nice contrast of the arch of roses encircling a skyscraper in the distance. The city hall is like a rose among the more modern buildings. The rivers flowing through the city add to the charm and remind me a little of the canals seen in European cities. It also makes me think of Montreal in Canada that is also an island separated from the mainland by rivers. SÅ där fina och stora parker måste det finnas i varje stad tycker jag för natur gär människor glada och att vi mår bra. Det är en fin park med så mycket fina blommor. Kul att få se kartan hur det ser ut. Det är lte svårt att föreställa sig annars. Ha nu en fin och skön Juni som snart är här. Wow!! How wonderful to have such a beautiful park in the middle of a large city. 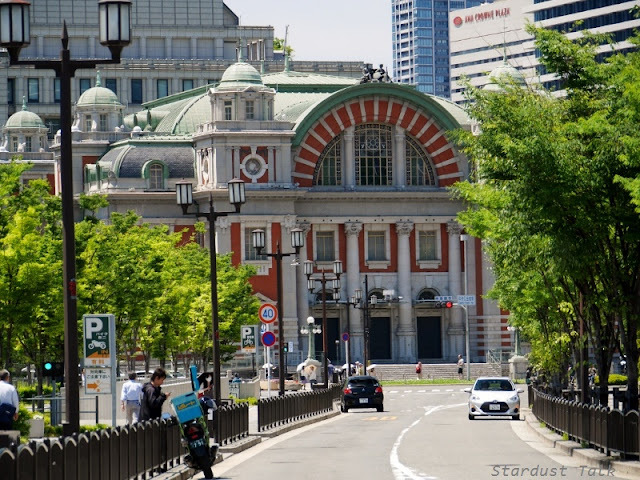 I liked seeing Osaka through your lens, Yoko. In every city I visit, I seek green belts and gardens such as the ones you've shown. Those roses are perfection. I bet the scent was wonderful as you strolled through the gardens. The architecture of the city looks varied and interesting - a photograher's dream. Yoko, you paint a beautiful picture of nature in the city. The roses are fabulous! 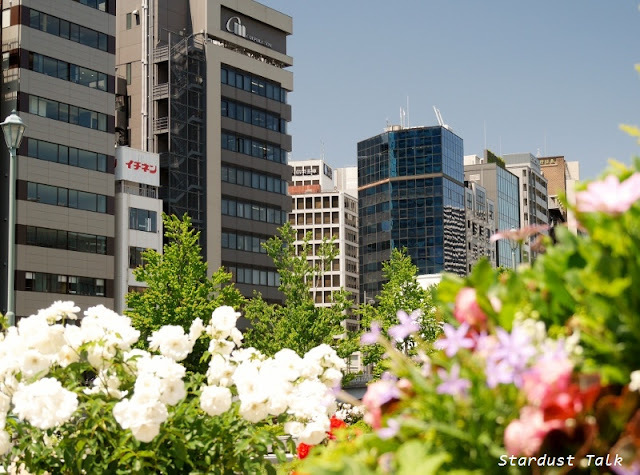 A few days ago I listed to a jazz programme on the radio, coming from Osaka, and the presenter said how much he loved the buzz of this city.....and the fantastic food! 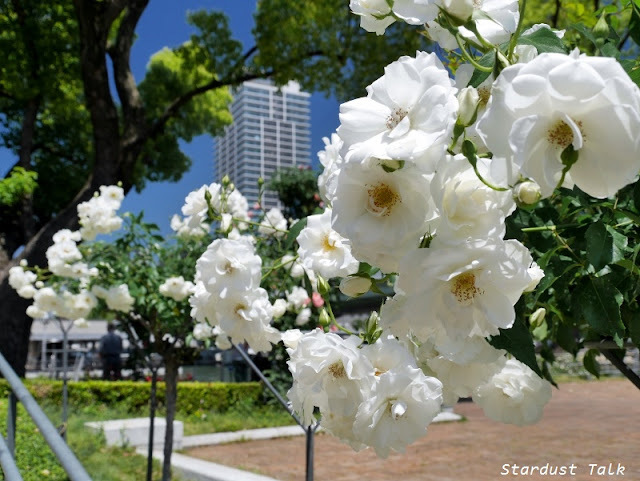 Beautiful roses in the center of the city !!! I loved both the pictures and the commentaries. The one with a couple (drawing?) wearing hats is the nicest reminder of how wonderful your country is. I am tempted to plan another trip to Japan including Osaka. And do you know what Oscar Wilde said about temptations? “The only way to get rid of a temptation is to yield to it”!!! Thanks again, dear Yoko. Your blog is a marvel! I love how gardens are created, cherished and enjoyed where you live. Yes, the buildings are also wonderful to admire and consider. thank you for sharing your beauty with us. Splendid photographs. 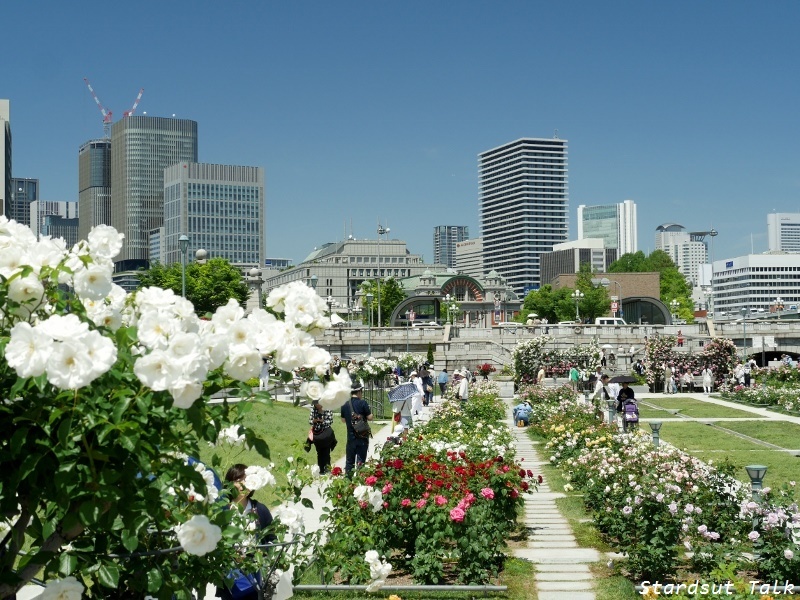 I like the way you framed some of the buildings through the roses. It is interesting, also to see the many architectural styles. Ahhhhh .... I can smell the roses! 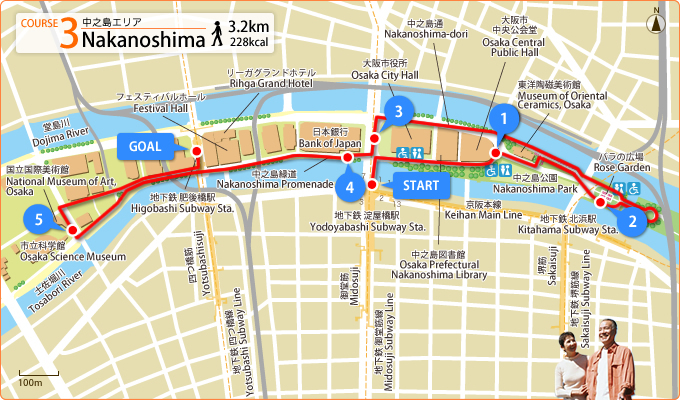 That was a lovely walk through Osaka, looking at the architecture and learning a little bit of the history of the city. One day perhaps I shall see it for myself! thank you for your kind comment today. Fantastic photographies and it is that the models were not asking less, so the roses are extraordinary. 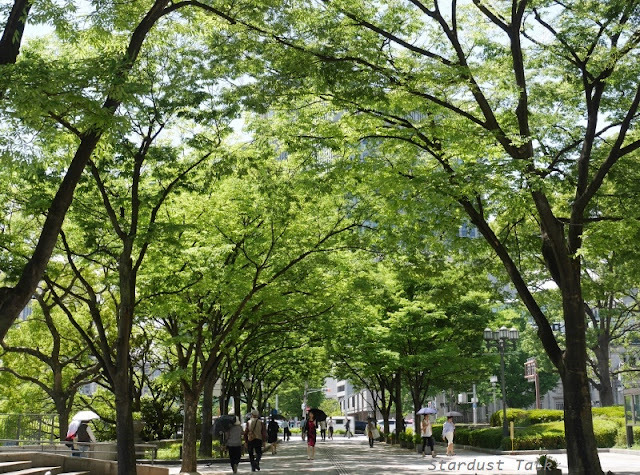 If we add this entry to the previous one, it is clear that Nara is a city overturned in being careful and offering, beyond the predominance of the cement and of the asphalt, green spaces to his inhabitants and visitors, for what a great plaudit deserves. Hi Yoko, the pictures are so beautiful! 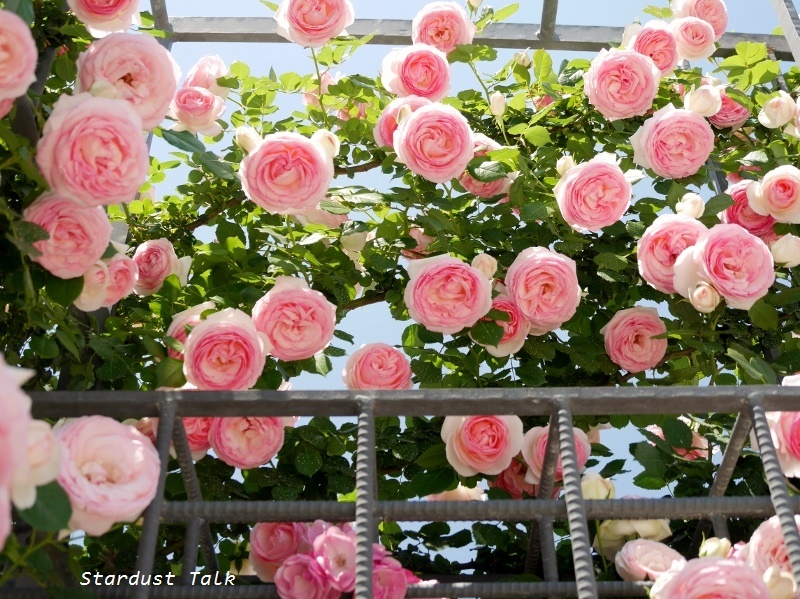 ♡ The flowers are very gorgeous! It looks like a paradise! Yoko, I love the red ones! So nice it is in the city!